The death toll from a cyclone that ravaged three southern African countries last week headed Thursday towards 400, as officials estimated that more than 1.7 million people had been affected by the storm and 15,000 people were still stranded in floodwater. As the toll surged from the region's biggest storm in years, the World Health Organization (WHO) announced plans to tackle an emerging threat to survivors from malaria and cholera. Cyclone Idai smashed into the coast of central Mozambique last Friday, unleashing hurricane-force winds and rains that flooded the hinterland and drenched eastern Zimbabwe. Mozambican Land and Environmental Minister Celso Correia said 242 lives had been lost and 15,000 out of 18,000 stranded people still needed to be saved, many of them on rooftops or even in trees. "Yesterday we had counted 15,000 people that still need rescue today -- 15,000 people who are in bad shape. They are alive, we are communicating with them, delivering food, but we need to rescue them and take them out," he told reporters. A total of 65,000 people are in transit centres, he said. "Our priority now is to make sure we take food, shelter and medicine to the people that are isolated in small islands or in big islands and villages," Correia said at Beira airport, the humanitarian relief coordination hub. On Wednesday there were just five helicopters rescuing the marooned, according to Adrien Nance who is heading the operation. "It’s encouraging that the humanitarian response is really starting to come to scale. But more help is needed," said Jamie LeSueur of the International Federation of Red Cross and Red Crescent Societies (IFRC). 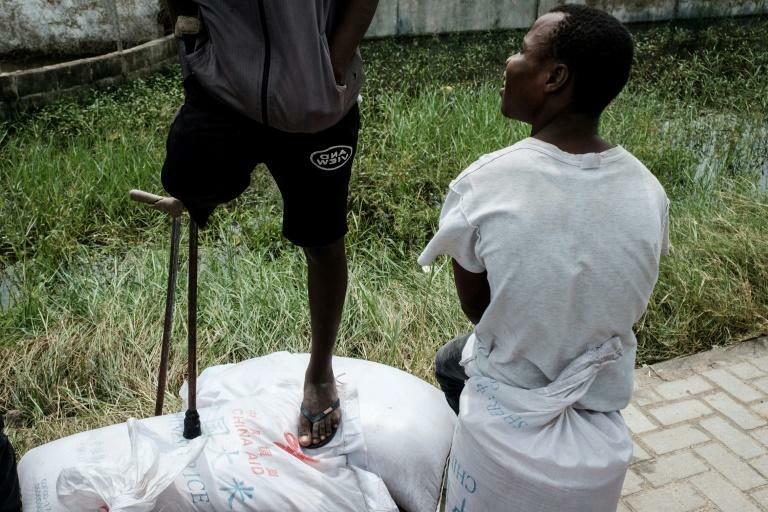 World Food Programme (WFP) spokesman Herve Verhoosel said the number of people affected in Mozambique was 600,000, but warned: "That number will definitely go up." Ultimately, around 1.7 million people in Mozambique will need assistance, Verhoosel said in Geneva. Pall bearers waded through flood waters carrying a black coffin containing the remains of Tomas Joaquim Chimukme, who died after his house collapsed on him in Beira. In Zimbabwe, state broadcaster ZBC said the death toll had risen to 139, up from 100 on Wednesday, while the WFP said its estimates of the number of people there affected by the cyclone had jumped from 15,000 to 200,000. In Chimanimani, close to Zimbabwe's border with Mozambique, "some 90 percent of the district has been significantly damaged," Verhoosel said. An AFP reporter in the area said the district had been cut off. Roads had been gobbled up by massive sinkholes and bridges ripped to shreds by flash floods -- a landscape that Zimbabwe's acting defence minister Perrance Shiri, who is also agriculture minister, said "resembles the aftermath of a full-scale war". Zimbabwean President Emmerson Mnangagwa, after touring the area, said the country would observe two days of mourning from Saturday. Mozambique declared three days of mourning, taking effect on Wednesday. "In Rusitu, I saw unmitigated despair," Mnangawa told reporters in Harare. "Big boulders (were) recklessly strewn on what used be a settlement, a banana market and even a police post." At the police station, "both serving officers and prisoners were washed away alongside other government structures and private residences," he said. Mnangagwa also announced steps to cope with future disasters, including mapping the country for weather-related risk, creating a national disaster fund and stepping up global advocacy on climate change. In Malawi, the WHO said on Wednesday, the storm had affected 922,000 others, of whom 82,000 had been displaced. The WHO announced an emergency plan for 10,000 people. 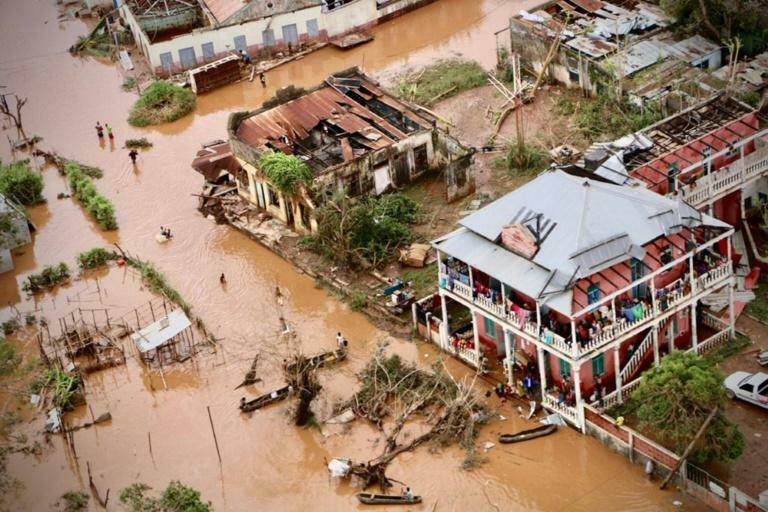 "The displacement of large numbers of people and the flooding triggered by Cyclone Idai significantly increases the risk of malaria, typhoid and cholera,” said Matshidiso Moeti, the agency's regional director for Africa. The UN launched an appeal for assistance overnight. "We do not yet know enough about the level of destruction to give an accurate estimate of the amount of this call for funds, but it will be important," spokesman Farhan Haq said at UN headquarters in New York. Aid agencies said they were prepared for the cyclone but not for the massive floods that followed. Air force personnel from Mozambique and South Africa have been drafted in to fly rescue missions and distribute aid in central Mozambique. 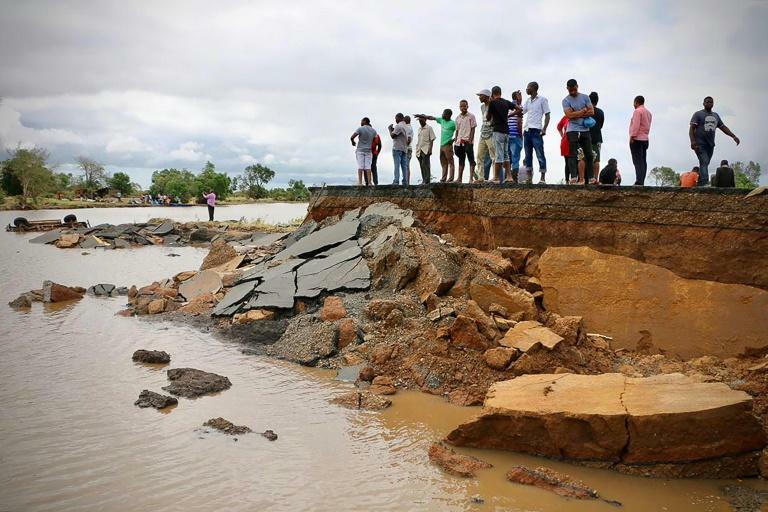 Roads out of Beira have been destroyed and the city itself, home to around half a million people, has been 90-percent damaged or destroyed.